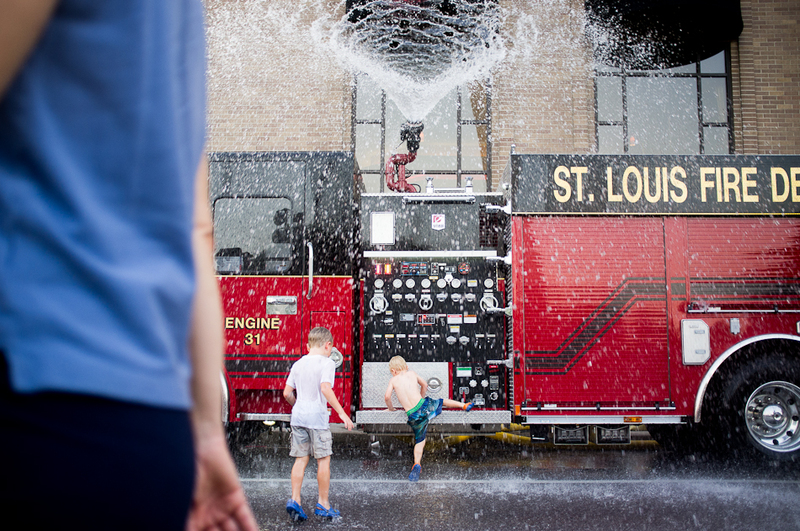 Celebrating our second Independence Day in St. Louis was even more fun than last year’s. This year we threw a little barbecue in our new (and still mostly empty) loft studio then walked down to the Arch to watch the fireworks. 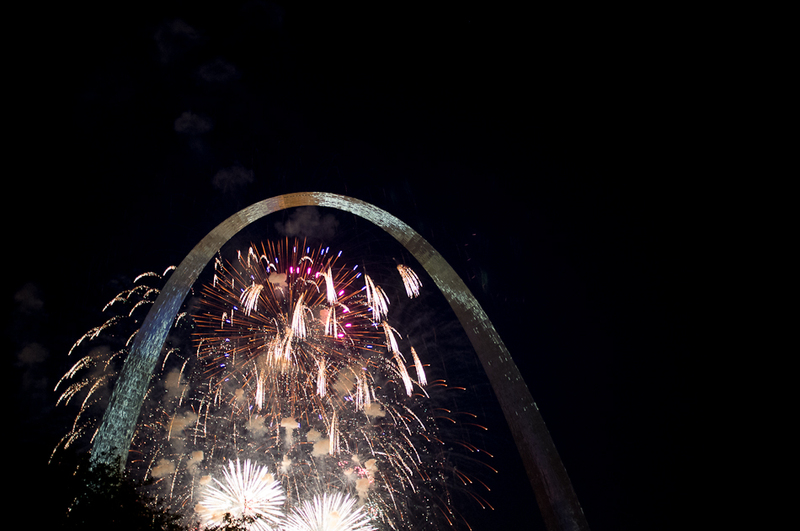 Last year we stayed outside the crowd and watched from the north side of the arch at a bar while drinking some beers. This year we dove straight into the madness in front of the Arch with our cargo pants pockets stuffed with PBR. The view was definitely better from the front, no question. Here are a few shots from my vantage point just west of Memorial Drive. I particularly love the one in the middle, of the toddler trying to clamp his hands over his ears without letting go of his LED sparkly sword.